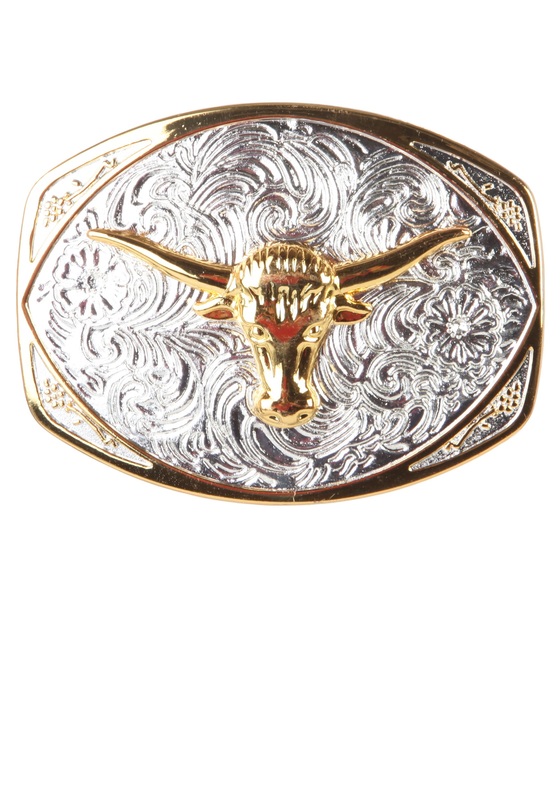 If you want to be a studly cowboy, then you need the right belt buckle. A belt buckle that will have other cowboys consider whether or not that town is big enough for the two of you, then after a lot of deep thinking will depart from the town, leaving you to be the biggest and baddest cowpoke around. That's a tall order and a lot to expect from a belt buckle but we can help you out. You see, it's an unwritten law of the Wild West that the bigger and shinier the buckle, the better cowboy you are, so, at least, with this buckle on your belt you'll give off the illusion that this isn't your first rodeo. 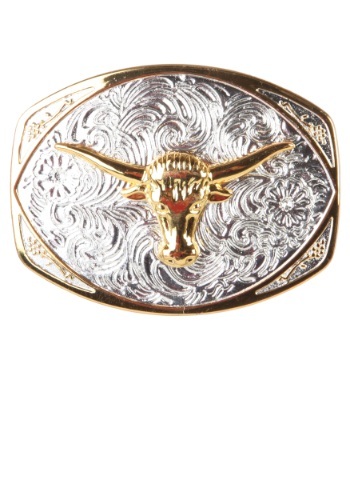 This here buckle is large and definitely in charge, and even has a longhorn steer on the front in gold accents. There's not another cowboy around that would even think of messing with you while you're wearing this Western Belt Buckle.